On the weekend of October 11, I headed out on my annual pilgrimage to watch motorcycles race around a track. For an average person, this is not very interesting. For a motorcyclist, or someone who loves racing, this is one of our Meccas. Okay, so maybe not that important. 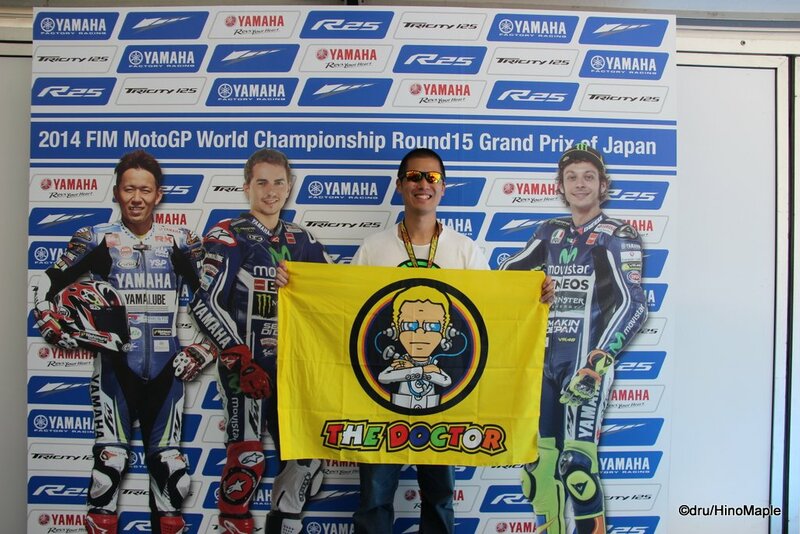 It was important for me and it was also the only time where I had several friends at the race with me. The adventure started as always with a trip to Tokyo Station. 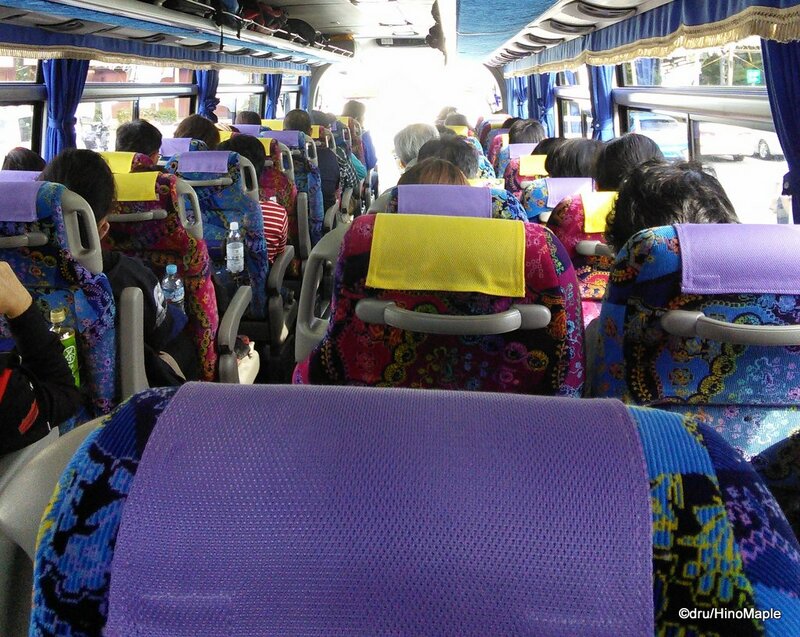 I hopped onto the bus which took us on the 3 hour drive to Twin Ring Motegi. Maybe it was because I had people to talk to, but the trip seemed a little faster than normal. We got up there on time and I was happy to arrive and breathing the fresh air with the smell of racing fuel. In order to understand the event in more detail, it is better to check out my past reports. Links are at the bottom. Aside from a couple times, I have gone on the trip for 2 days and one night. I head up for qualifying where I do all of my shopping and get photos of everything. 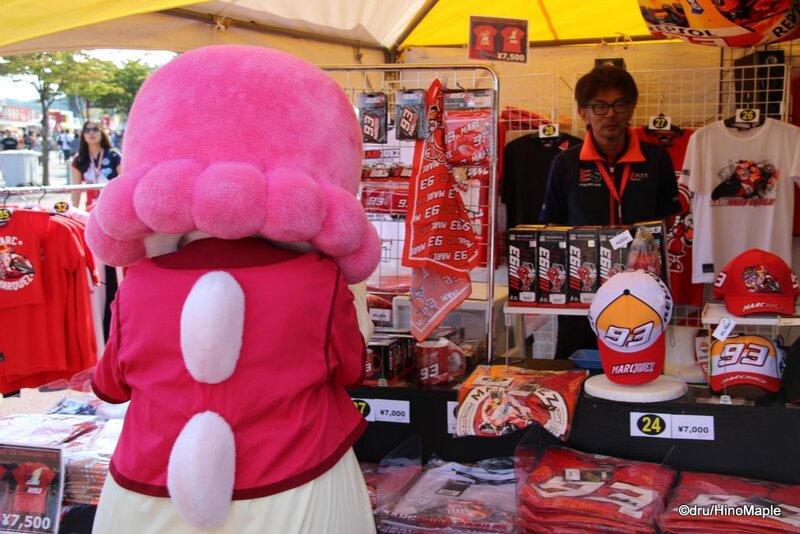 Race day is so busy that shopping is not very fun and I want to enjoy the race rather than running around the circuit. I did my usual routine where I got a picture at the gate and then headed in to do a lot of shopping. Being such a MotoGP fan, I had to buy a lot of stuff. It was a good year for swag and my wallet was hurting for it. Once I finished my first round of shopping, I got an early lunch when a friend of mine offered me the use of his paddock pass. The paddock pass is a special pass that lets you get into the pit area. You cannot go to the pits as that is closed during the sessions, but you can go behind the pits where the offices and hospitality suites are. It can’t be the same as the European rounds where they have huge trucks that are converted into suites. Instead, they use portable buildings that get the job done. The day was really busy for me and I had a LOT to do. Once I finished with the paddock, I raced across the track to get photos in my favourite locations. Last year I learned about the back straight area and the S-curves. I went back and then raced back to the main GP area. 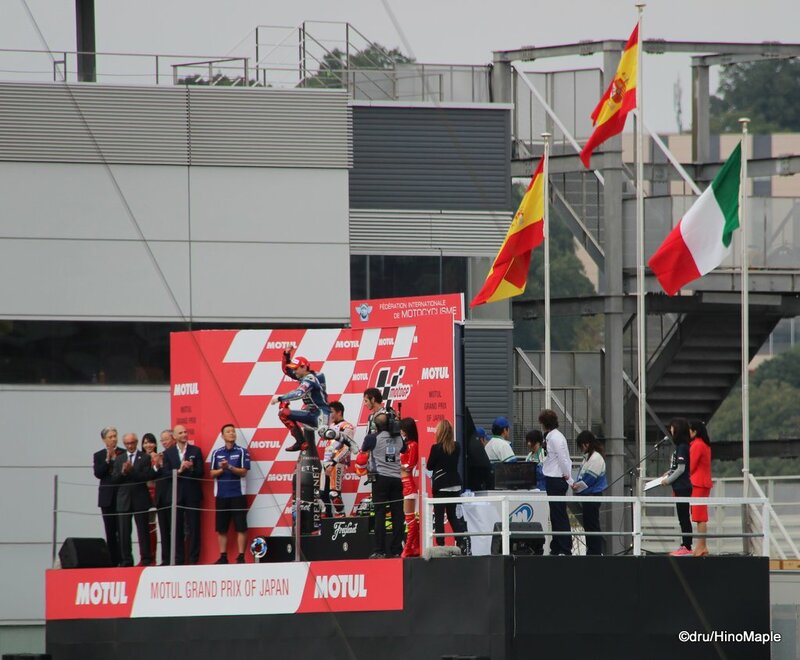 The reason to race back was that I had won a prize and had to be back at the main grandstand at a specific time. I finished watching the events at the new V grandstands. They built new grandstands along the main straight where you could watch everything. The old grandstands were behind the super speedway front straight and you were very far from the action. They built a new grandstand on the speedway pit and you are now very close to the action. It was a great place to enjoy everything and I had a blast at the new seats. 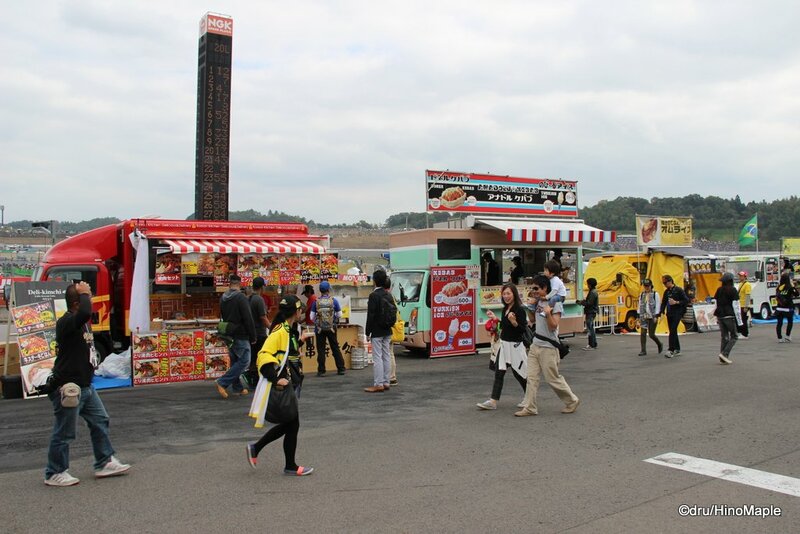 Behind the new grandstands was a new international food area as well as a few hospitality buildings for the main manufacturers. 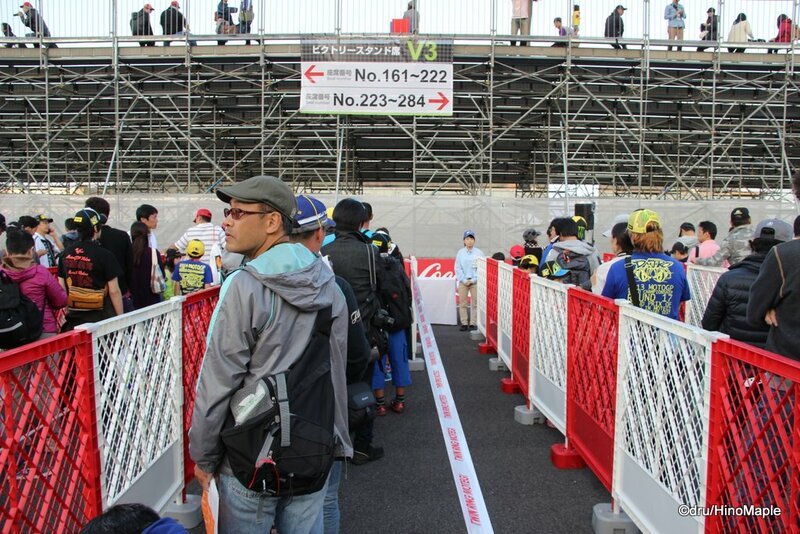 They had special buildings as the main manufacturers had their own cheering sections. I was in the Yamaha section, of course. Everything was great and I will gladly head back there again in the future. The main reason I was back so early was because I had won a prize for the first time. 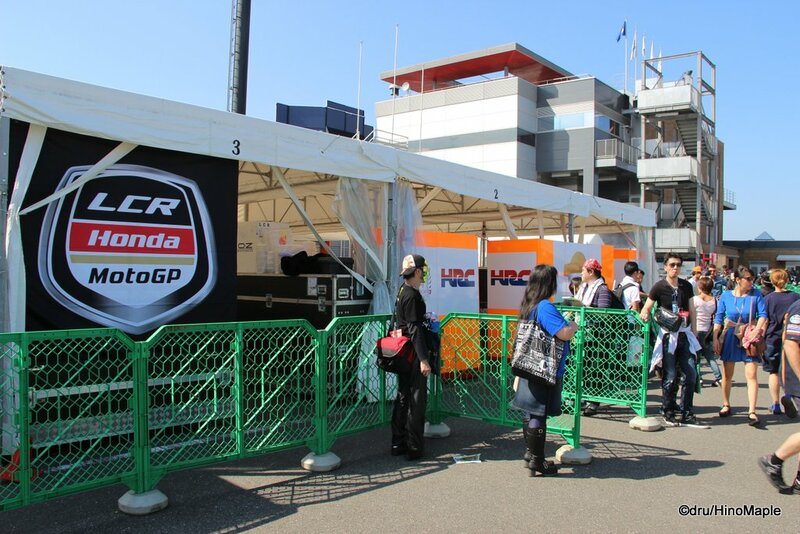 On qualifying day, you line up for a chance to get an autograph with one of the MotoGP riders. I had tried many times but never got a chance to get one until this year. I was set up for disappointment but when I found out I won, I was so happy that I couldn’t even move. The only problem was that I didn’t know who would be chosen for my group. I’ll write more in the future on this as well. Needless to say, I got an autograph with a past world champion and I left very happy. On race day, things were pretty standard. I started the day in the Oasis area, a grassy area in front of the main entrance. I had a beer to just relax and enjoy the sun before I headed in. I got in and just lounged around the main circus area for the general fans. I had more beer and food before I made my way to the grandstands for the first Moto3 race. I would only move to use the washroom and never really left that area until the races were over; pretty boring for a non-race fan if you ask me. 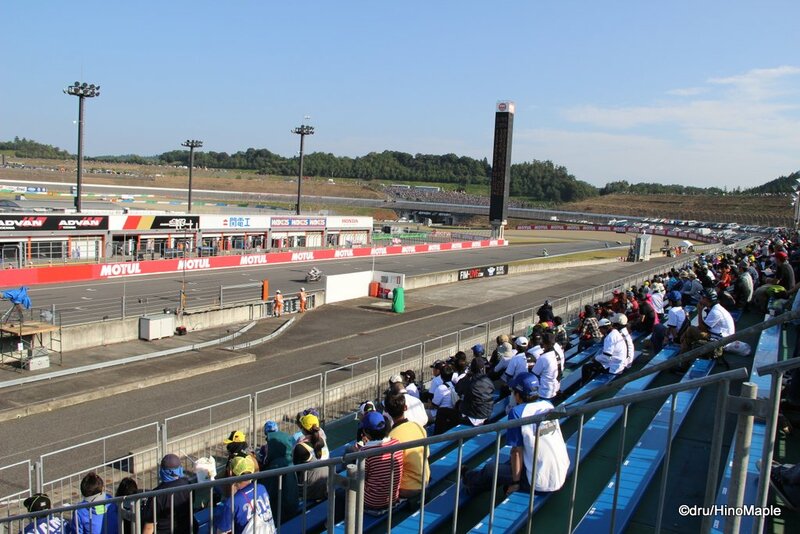 Overall, this was the best Japanese Grand Prix I had ever attended. I’m so happy that I got to go and I’m still going to go next year. I will be going every year for as long as I can and I hope I can make it to the other events around the world. We’ll see how things go. I’m now counting down the days till I can go again. 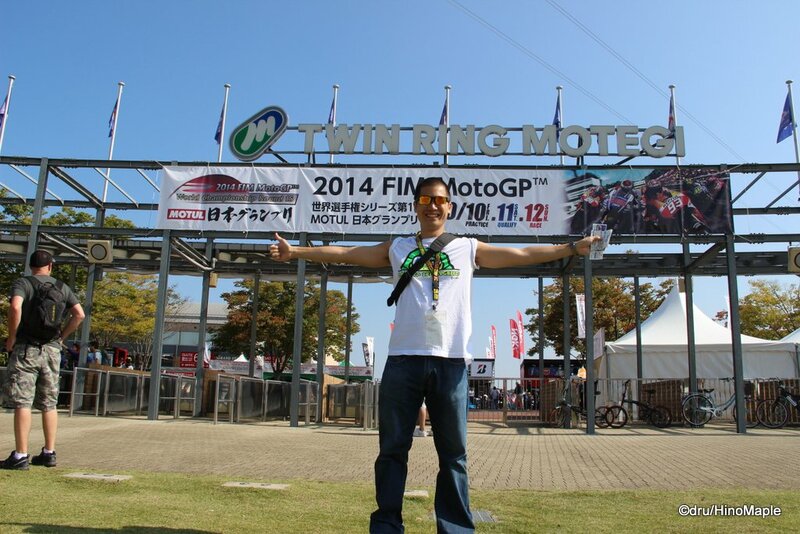 This entry was posted in Motorsports and tagged GP of Japan, Grand Prix of Japan, japan, Japan GP, Japan Grand Prix, Motegi, Moto GP, Moto2, Moto3, MotoGP, Motorcycle, Motul Grand Prix of Japan, Tochigi, Twin Ring, Twin Ring Motegi, Valentino Rossi by Dru. Bookmark the permalink. Wow, you must have had a really good camera to take a photo of the motorcyclists on the main straight! Great shot! I don’t know anything about Moto GP but I bet the atmosphere is pretty exciting!